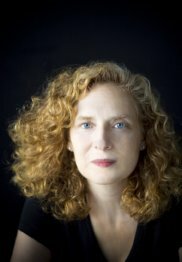 Julia Wolfe draws inspiration from folk, classical, and rock genres, bringing a modern sensibility to each while simultaneously tearing down the walls between them. Her Pulitzer-winning concert-length oratorio, Anthracite Fields for chorus and instruments, draws on oral histories, interviews, speeches, and more to honor the people who persevered and endured in the Pennsylvania Anthracite Coal Region. Other recent projects include the evening-length Steel Hammer for the Bang on a Can All-Stars and singers, and a “body concerto”, riSE and fLY, commissioned and premiered by the BBC, that features rapid-fire body slaps and street percussion. In 2019, the New York Philharmonic premieres Wolfe’s large-scale work for orchestra and women’s chorus, Fire in my mouth, continuing her interest in American labor history with the subject of women in New York’s garment industry at the turn of the century. Wolfe’s music is distinguished by an intense physicality and a relentless power that pushes performers to extremes and demands attention from the audience. She has written a major body of work for strings, from quartets to full orchestra. Her quartets, as described by The New Yorker, "combine the violent forward drive of rock music with an aura of minimalist serenity [using] the four instruments as a big guitar, whipping psychedelic states of mind into frenzied and ecstatic climaxes." Her music has been heard at venues throughout the world and has been recorded on the Cantaloupe Music, Teldec, Point/Universal, Sony Classical, and Argo/Decca labels. Wolfe is Musical America's 209 Composer of the Year. She was a 2016 MacArthur Fellow and a recipient of a 2015 Herb Alpert Award in Music. She is on faculty at the NYU Steinhardt School and is co-founder/co-artistic director of New York’s legendary music collective Bang on a Can. Her music is published by Red Poppy, Ltd. (ASCAP) and is distributed worldwide by G. Schirmer, Inc.